MANILA --- The Armed Forces of the Philippines (AFP) on Monday said it respects the court's decision convicting three military personnel of kidnapping and serious illegal detention charges. "As it has been and always will be, the position of the AFP is submission to the majesty of the courts and respect for the rule of law," AFP spokesperson Col. Edgard Arevalo said. The AFP issued the statement after the Malolos City Regional Trial Court (RTC) Branch 15 sentenced retired Major Gen. Jovito Palparan and his co-accused Lt. Col.Felipe Anotado, Jr., and Staff Sgt. Edgardo Osorio guilty of kidnapping and serious illegal detention for the 2006 disapperance of University of the Philippines students Karen Empeno and Sherlyn Cadapan. All three were also sentenced to reclusion perpetua or imprisonment of up to 40 years. 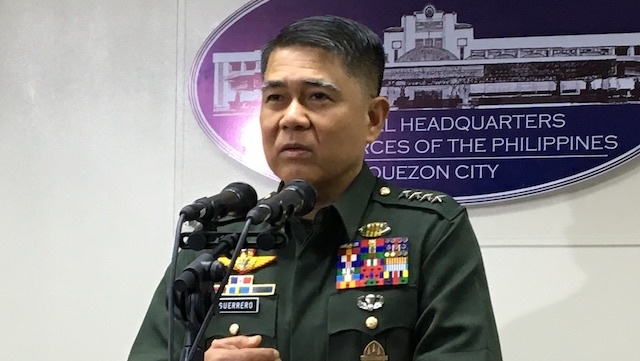 While the AFP has yet to see or receive a copy of the decision, Arevalo added that the military respects whatever legal action the three will avail of.